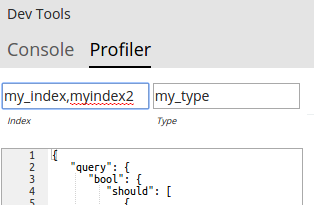 By default, all queries executed by the Search Profiler are sent to GET /_search. It searches across your entire cluster (all indices, all types). This is equivalent to GET /my_index,my_index2/my_type/_search.